In the new edition of the iOS mobile operating system for iPhones and iPads and the macOS upgrade for Apple computers out in the fall, Apple is taking a pointed jab at the Facebook social media network. It will introduce security features to alert you when Facebook or other apps seek to collect data on you. Apple executive Craig Federighi said the company aims to inform its users about what they are seeing. "We've all seen these like buttons and share buttons," he said. "It turns out, these can be used to track you, whether you click on them or not. So this year, we are shutting them down." What Apple is doing, says tech analyst Patrick Moorhead, "is reminding you that you're being tracked," he says. "It's giving you the heads up." In 2017, Apple added a "Do Not Track," feature to the macOS system, adding a request to the website not to track you, "but it’s up to the website to honor this request," Apple says on its website. 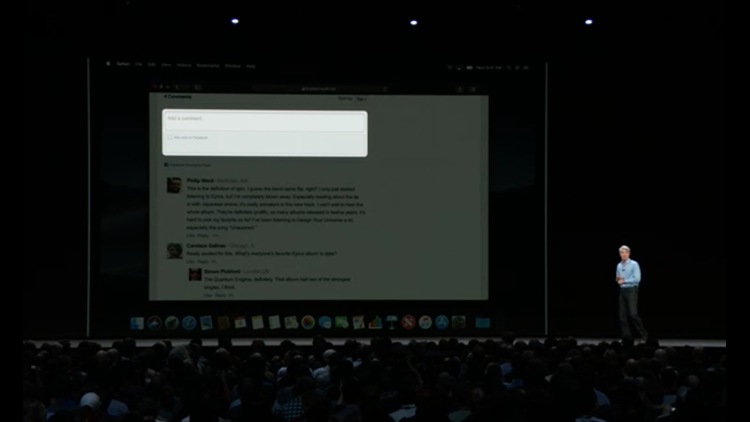 Federighi also said that beyond the "Like" button, fingerprints like fonts and plug-ins can help companies figure out your identity and start to track you. The iOS/macOS update looks to curb those by using a different form of fonts and shedding legacy plug-ins. Apple makes its money primarily by selling hardware—iPhones and iPads, while Facebook profits by targeting users demographics and personal tastes to sell targeted advertising. The social network has come under fire in the wake of a rogue app developer that passed on 87 million users' information to a political marketing firm during the 2016 U.S. presidential election. At the same time, European regulators have called for stricter privacy controls for users, called the GDPR, which went into effect in May. Mark Zuckerberg's hearings on the Cambridge Analytica privacy breach in April raised questions on how Facebook tracks people on the Web, even if they're not logged into the network or a member. It clarified in a blog post, detailing the ways it gets data about people from other websites and apps, including social plug-ins like Facebook’s “share” and “like” buttons and the Facebook login. At the time, Marc Rotenberg of the Electronic Privacy Information Center called the disclosures “a giant surveillance warning label." Facebook recently said it will let you delete information the company gathers from your activity on other websites and apps. It did not respond to a request for comment on Apple's new feature. Finally, new data protections for the Mac will require apps to get user permission before using the camera and microphone or accessing personal data like user Mail history. 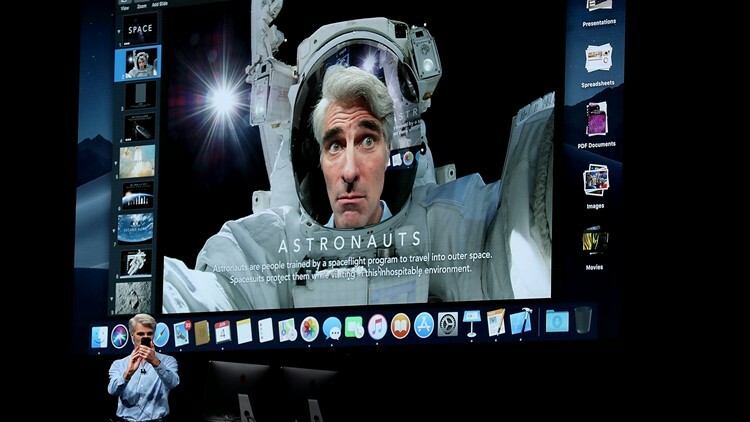 Apple's senior vice president of Software Engineering Craig Federighi speaks during the 2018 Apple Worldwide Developer Conference at the San Jose Convention Center on June 4, 2018 in San Jose, Calif. Apple CEO Tim Cook kicked off the WWDC that runs through June 8.